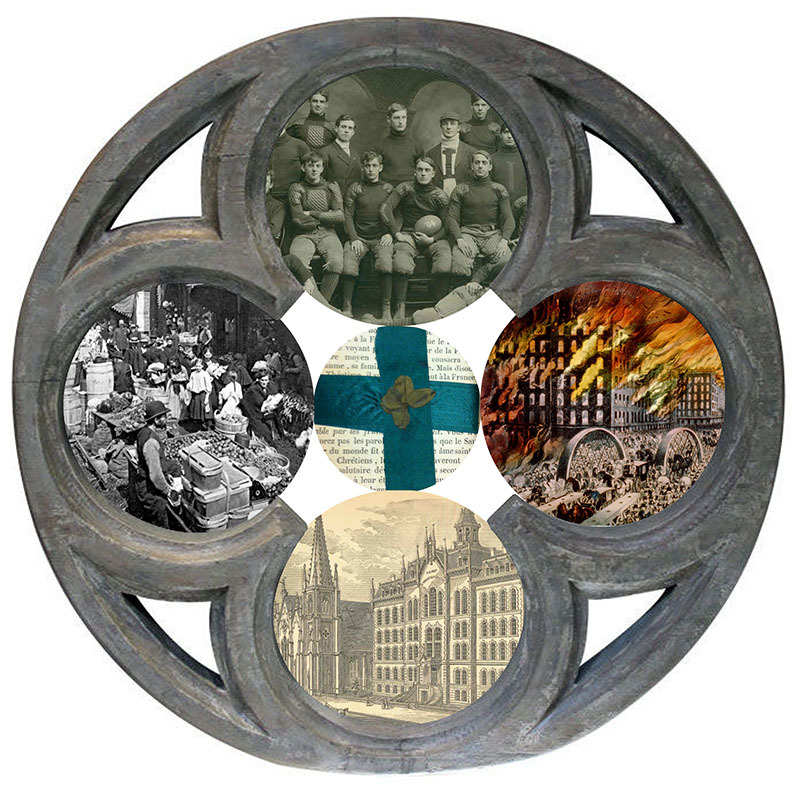 Catholics played a formative role in the life and development of nineteenth-century Chicago. Unlike the East Coast where Catholic immigrants were late arrivals to cities already built by Protestants, Chicago’s Catholics were among the earliest settlers. They built churches, homes, and elaborate networks of hospitals, schools, and asylums open to all city residents, regardless of faith. They brought beliefs, practices, and worldviews shaped by the European communities from whence they came, but reconciled them with a new world of democratic participation, market capitalism, and cultural pluralism. In the process, Catholics created new American identities even as they faced debilitating poverty, ethnic and racial strife, Protestant prejudice, and violence. The experience of nineteenth-century Catholic Chicagoans provides a window for understanding the American immigrant experience more broadly. Drawing on university libraries, local archives, and recent scholarship, students will explore the experience of nineteenth-century Catholic Chicagoans and the contributions they made to the development and growth of the city. The seminar will examine the various causes that impelled millions of Catholics to leave Europe for the United States; the contributions of European Jesuits and women religious through missions to urban populations; the establishment of a Catholic community on the west side of Chicago centered around parish, schools, and benevolent institutions; the emergence of a vibrant urban Catholic culture expressed in literature, song, theater, labor activism, and political networking; and finally the prominent place of Catholics at the famous Columbian Exposition of 1893, a half-century after their arrival in the city. Fall class meetings will be built around readings, discussion, field trips, guest lectures with leading scholars, and digital projects. Working with the instructor, local archivists, and librarians, students will develop and complete a research project of their own design in the spring semester. Parish and institutional records, newspapers, novels, memoirs, diaries and journals, court records, maps, photographs, sheet music, and library collections are some of the primary sources that students may chose. Final presentations of this research can take the form of a research paper or a digital project. They will be presented at the end of the semester at a public mini-conference.